Owning your own business is hard work, there is no doubting that. They always say find something you love and you will never work a day in your life, something we find so very true. Broadway Limousines is a family run and maintained business. Sam had always had a love of cars. With a family history of fixing up cars, it seemed to be the obvious path for him. Having his amazing and supportive father who is a panel beater/mechanic really influenced Sam and his passion for cars kept growing. Classic cars have always been something we loved! The elegance and the fact that they never go out of style appealed to us. We started researching and found some amazing classic cars from all over the world. America, Canada, Melbourne, Perth, London and Sydney, there were so many amazing cars out there but nothing up to our standards. We were so fussy in the quality of cars that we would provide to our couples. We bought some, sold some, fixed them all up, its was extremely hard work but we are so pleased with the beautiful fleet of classic cars in Sydney that we have today. We are one of the only companies that has such a different range of colours and makes. Although people ask if we will expand, we are so happy with the amount of classic cars we have now. Just the right amount to keep us busy but also just the right amount to be able to stay on top of them all. Maintaining and keeping these beautiful vintage Rolls Royces and Jaguars in good condition is no easy task so having the right amount is important, we get to take extra special care of them without being overwhelmed. They are almost like our babies, even though we have 2 beautiful children of our own the cars are part of us. 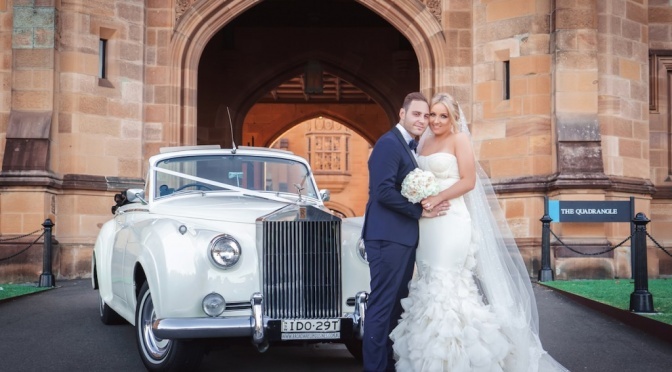 If anything happens to them or something is not right we do all we can to make them better, ensuring that you will get a beautiful Rolls Royce or Jaguar on your wedding day, the most important part of this job! If your looking for the perfect car for your perfect day, be sure to visit us! I know we will have the right classic car for you in Sydney!